A pair of Miners Clogs. 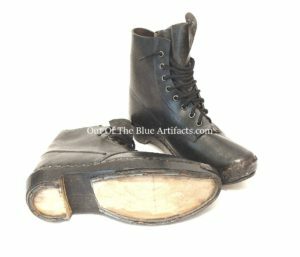 Very thick Leather uppers with Wooden soles, fitted with Tin toe-caps and with Iron horse-shoe like protective sole and heel strips. 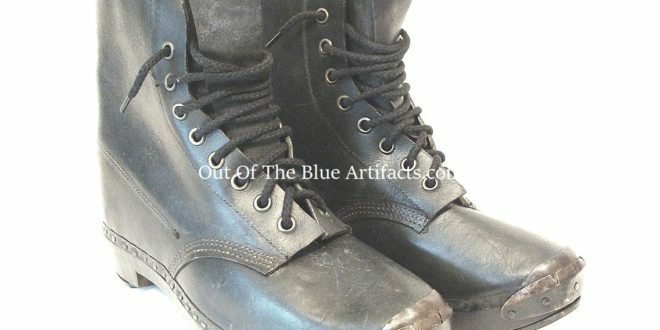 These high ankle clogs were used from the 1920-30s up until the 1970s in the Northern coalfields. They were also used in other heavy industries. 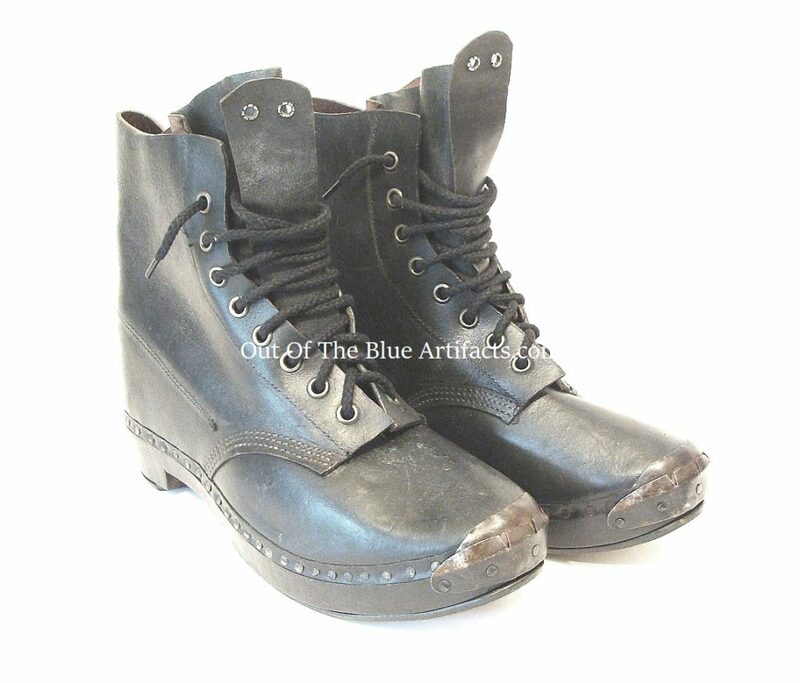 size 9″ inches high.